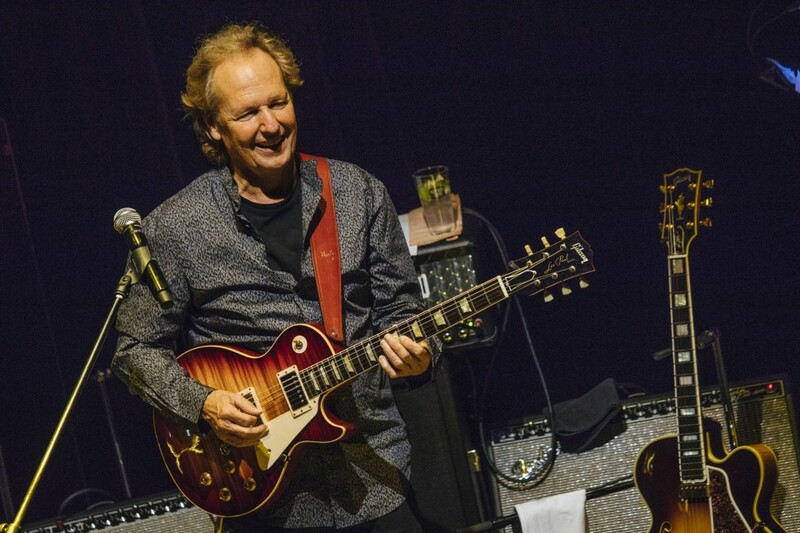 Guitar master Lee Ritenour is answering questions in his Blue Note Tokyo dressing room with his Gibson Les Paul strapped on and fingers flying over the fretboard, warming up just before hosting and also playing in the finale performance of his latest global Six String Theory Competition. "I feel it's turned out to be a wonderful legacy for me," the 67-year-old Grammy-winning musician says of the biennial competition, whose latest edition wrapped up with the spirited March 16 performance designed to showcase the nine young winners -- six in guitar and three in rhythm section. The competition grew out of Ritenour's landmark 2010 album "6 String Theory" and has been on an expansive trajectory since. 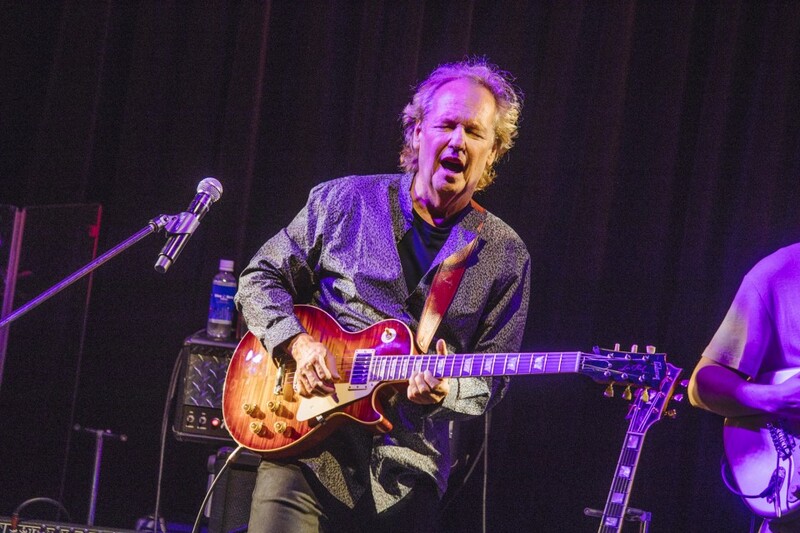 "It was my dream to feature all different styles of guitar playing with as many legendary guitar players on each of the styles, and often collaborating with one another," he said about the album. Those players included such icons as George Benson, B.B. King, John Scofield, Steve Lukather of Toto, Slash, Keb' Mo', Joe Bonnamassa and Mike Stern. "It was my idea to (also) invite somebody completely brand new...and I thought how cool would it be if we had a competition, a worldwide competition, to invite some new person who has never really recorded. And so we did that, and the winner was a classical guitarist named Shon Boublil from Canada," who appeared on the album, Ritenour said. Toto's Steve Lukather on banner 2019, Japan, planned "demented guide"
This latest "2018 edition" saw about 800 aspiring musicians -- 500 or so guitarists and around 300 rhythm section musicians -- sign up to compete from more than 60 countries. The competition's website drew visits from people in 190 countries, Ritenour said proudly. The guitar competition has expanded to six style divisions -- jazz, rock, blues, classical, acoustic and rhythm. The rhythm section, added in 2012, has three divisions-- piano, bass and drums. "This year was particularly young -- the oldest is 26 and the youngest 18," he said, while stressing, "There is no age limit. You have to be 16 or older but it goes all the way up to 100. And we've had musicians entering in their 70s, 80s you know. So it's wonderful to see the young talent around the world entering and all the way up in each generation." The competition, which now has more than 60 notable expert judges, has also attracted a number of big-name sponsors. 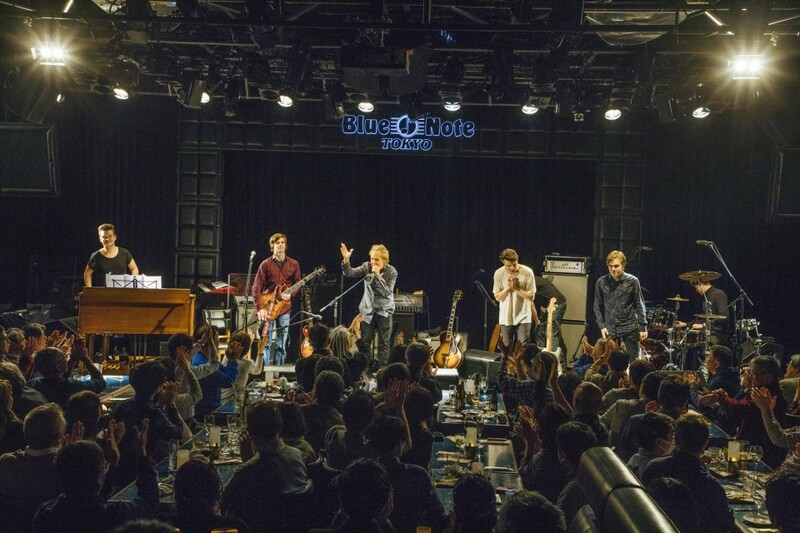 "For instance, Blue Note Tokyo has been a sponsor for the last several years and part of the price for them is to bring everybody here and pay for their flights, put them up, and bring them here for three days, and then we have a rehearsal. And they get to see the sights a little bit and of course perform at the famous Blue Note." Other key backers have been musical instruments maker Yamaha Corp., and the highly regarded Berklee College of Music in Boston. The 2018 edition winners came from all over the world -- Jazz Guitar: Cecil Alexander (USA), Rock Guitar: Johannes Persson (Sweden), Blues Guitar: Hayden Fogle (USA), Acoustic Guitar: Eric Jayne (USA), Classical Guitar: Hedvika Svendova (Czech, France), Rhythm Guitar: Kaspar Jalily (France), Piano: Holger Marjamaa (Estonia, USA), Bass: Petar Pera Krstajic (Serbia, USA), Drums: Euan Leslie (Scotland, USA). Ironically, Ritenour said he "always hated" competitions "but I say to everyone, and it's written on my website as well, that the competition is within yourself to make yourself better." In the audience to watch the final performance was Japan's top entrant, 32-year-old Yusuke Yabui from the city of Okayama in the western part of the country. Yabui placed as a finalist in the piano division on the strength of his performance video titled "Michael Jackson's Songs Medley." 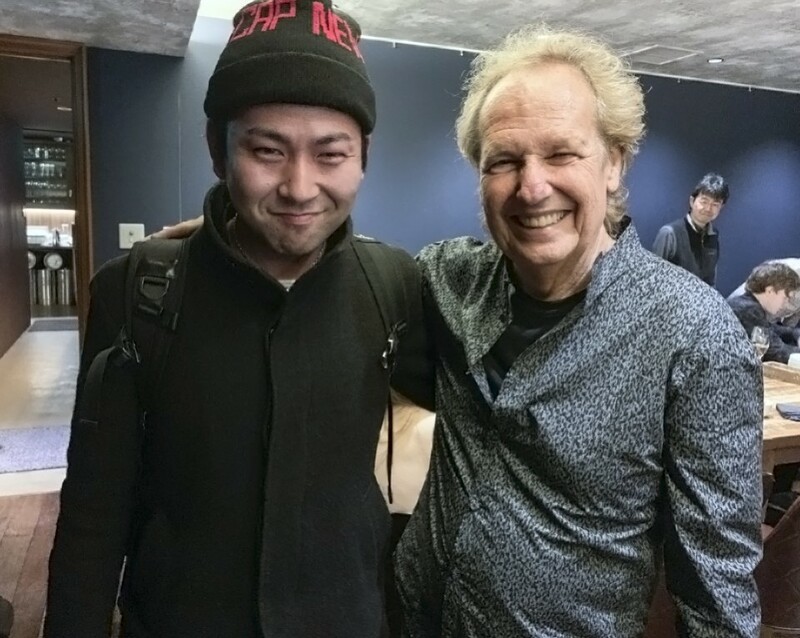 He traveled to Tokyo to personally thank Ritenour as well as congratulate the top pianist, Holger Marjamaa, with a handshake. "Holger is a really great pianist who was able to take first prize, so of course I respect him a lot. And I also hope I'll be able to perform with keyboardists like him from the Six String Theory Competition in the future," Yabui said. "I actually had some hesitation before entering, because in the strict sense I'm a not a jazz/fusion pianist but an electronic organ player. And I was afraid I might not be eligible as an applicant. But I inspired myself to do it. And I was selected as one of the finalists." Yabui also said the competition has encouraged him to keep pursuing his vision of "grafting Japanese traditional music timbre and rhythms" onto music from throughout the world. Meanwhile, the next Six String Theory Competition will be held from 2020. "Just look for the announcements," Ritenour said. "Of course the competition is closed right now, (but) you can go around the website, you can see the pictures, you can see a description of what it takes to join...the fee is very nominal, it's 25 dollars." But before that, Ritenour has some music of his own to attend to. "I've been planning to do this for a long time and finally most of the material is ready. So I'm finally going to do a solo album guitar record. Which sounds simple but of all the 45 albums I've done, I've never done a solo guitar album. So I'm excited to do that. That'll be the next big one."